New York Yankees starting pitcher CC Sabathia has been banned for five games by MLB for Thursday's incident against the Tampa Bay Rays, the league announced. Yankees stalwart Sabathia drilled Rays hitter Jesus Sucre and then yelled profanity in the direction of Tampa Bay's dugout. 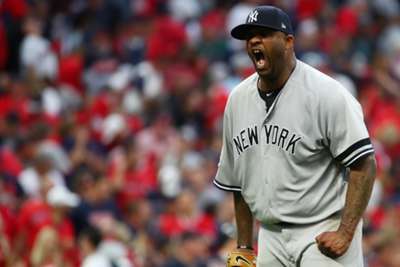 Sabathia was acting in retaliation for Andrew Kittredge throwing near the head of Austin Romine. The suspension has been delayed until 2019 because Sabathia has opted to appeal. Houston Astros first baseman Yuli Gurriel had a similar occurrence last season when he made an insensitive gesture towards Yu Darvish. Not only will Sabathia serve a suspension, he also missed out on his $500,000 bonus because of the incident. He was just two innings shy of earning the extra money.